To say this weekend has been stressful is something of an understatement. On Thursday night, just as I was preparing to head out with friends, my car just died. No error messages, no previous issues, just a hideous grinding noise anytime I tried to turn on the ignition. 5 hours, 2 tow trucks then 3 days at the garage have left me with a car that’s in the process of having 2 timing chains replaced. It’s the biggest of jobs, but I’ve just found out that BMW are finally dealing with it (thank god!)!!! So, as you can imagine, I’ve been trying to unwind every way I know how! 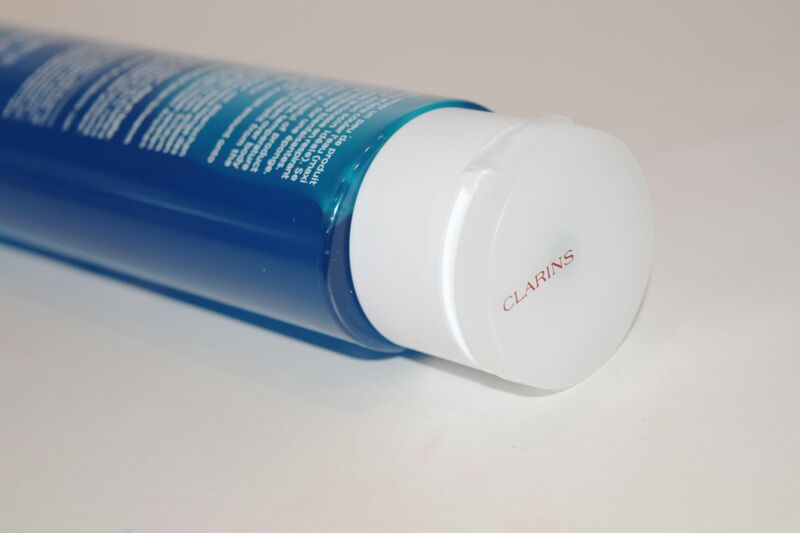 I’ve been spending copious amounts of time in the bath, trying to keep my mind off everything, and Clarins’ Relax Bath & Shower Concentrate has been absolutely integral to being able to get to sleep at night. It comes in an easy to use squeeze bottle, and you can use it either in the bath or shower, depending on your preference. Since I love a good soak, I’ve been using it pretty much exclusively in the bath. While the water is running, I use a generous squeeze, and it creates mountains of the most glorious bubbles. 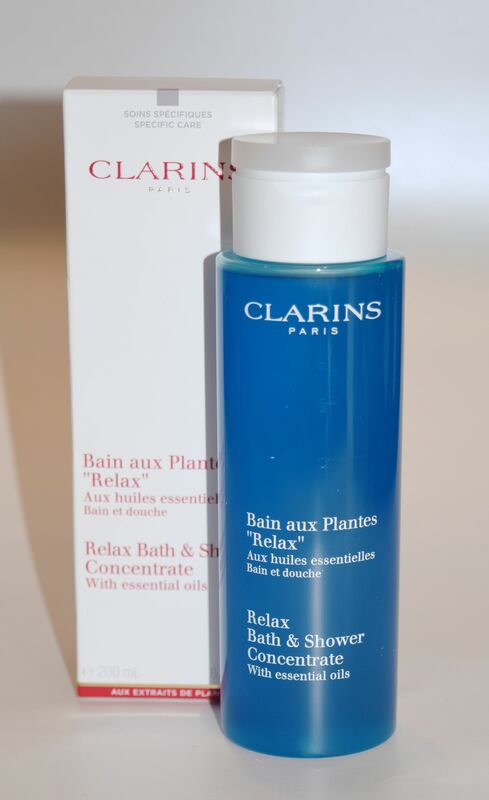 The scent of the Relax Bath & Shower Concentrate is absolutely glorious! It’s quite herbal, but as soon as I get a sniff of it, I can immediately feel myself starting to unwind. Basil, Camomile and Petit Grain all combine to to create a scent which feels like it’s been taken directly from a fancy spa. 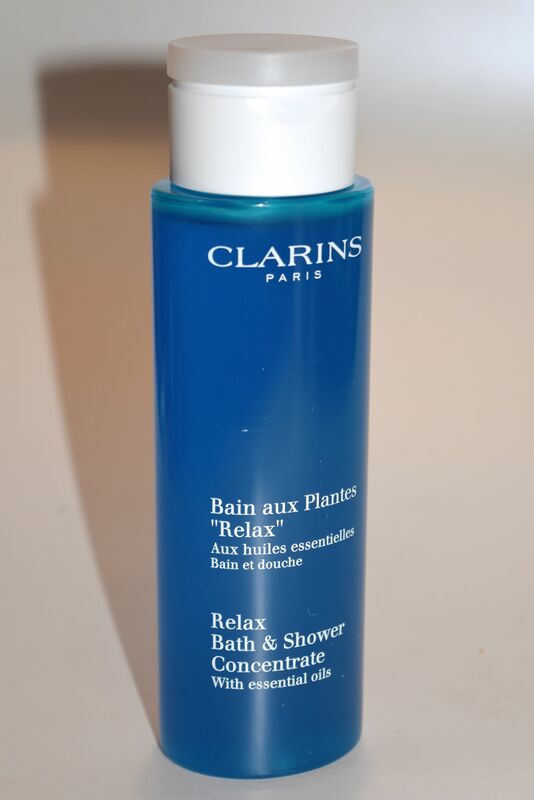 The bath and shower concentrate is priced at £19.00 and is available here.